In a major restaurant shakeup, Arby’s Restaurant Group has announced plans to acquire Buffalo Wild Wings for $2.4 billion, according to USA Today. 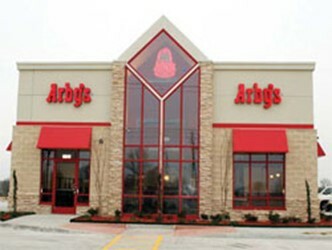 Arby’s is controlled by private equity firm the Roark Capital Group. The deal comes just as casual dining chains are feeling the pinch of Americans eating at home more frequently or having food delivered. Competition from fast-casual competitors and higher labor costs have also taken their bite out of the casual dining dollar. Arby’s recently revamped its core identity using unique products, and now plans to apply that formula to Buffalo Wild Wings. Buffalo Wild Wings has more than 1,250 locations in 10 countries, while Arby’s has more than 3,300 restaurants in seven countries. Hotels face unique challenges balancing meeting guest needs with increasing efficiency to improve their bottom line. Technology can help improve efficiency, but also carries a price tag for implementation and use. To help hoteliers achieve this difficult balance, mobile PMS technology company StayNTouch has released its latest hotel business growth resource – The 10-Point Checklist for Using Mobile Service to Boost your Hotel's Bottom Line in 2018. Google Research has demonstrated that 72 percent of active consumers are demanding mobile-friendly sites and experiences, which underscores the need for mobile service to boost guest satisfaction and higher hotel revenues. In fact, Google found, 73 percent of travelers want to use mobile for check-in; 68 percent want access to concierge information via mobile; 64 percent want the ability to use mobile devices as room keys; and 62 percent want to order room service and other amenities via their mobile devices. The StayNTouch checklist will help hoteliers meet these changing consumer demands to leverage mobile to deliver positive guest experiences. The checklist hits major segments of the hotel from back-of-the-house to guest-facing operations to ensure that they are optimized for success. Points on the checklist include: website, check-in/checkout, upgrades & add-ons, keys, front desk & concierge, housekeeping, ordering & guest request, marketing, data collection & access, and monitoring & reporting. To download The 10-Point Checklist for Using Mobile Service to Boost your Hotel's Bottom Line in 2018, CLICK HERE.